A Fine Reflection - Services ncluding driveways, pool decks, patios, sidewalks, wood and composite decks, roofs, siding and gutters/downspouts. Our prices are highly competitive and our work stands above the rest. 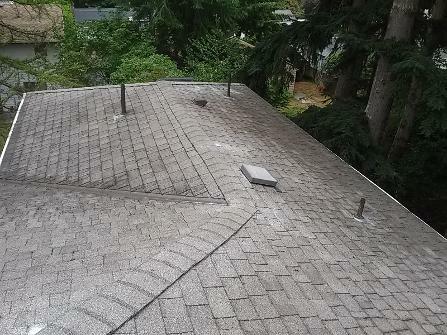 We treat the entire roof with zinc sulfate for effective moss control and moss removal. We have had great success in eradicating moss and our customers have been extremely satisfied. When your gutters need cleaning call us. We use safe practices and don't leave a mess on your property. Your debris will be bagged and put into your yard waste. We can haul it out for you for a small charge if you don't have a yard waste bin. Our service includes the removal of debris from inside the gutters and gutter/downspout connections and making sure that water is able to flow freely to the ground. As with any roof, preventive care such as seasonal moss treatments and keeping the debris off your roof is the preferred method of maintaining the integrity of your roof and will help you avoid the need to deep clean your roof. 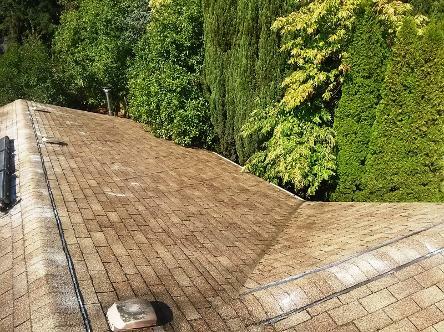 We gently pressure wash composition and concrete tile roofs to ensure that all the moss, dirt, black algae and other organic matter is removed and the roof is clean. However, we can gently broom off certain types of moss growth, specifically in cases where the moss is growing in easily detachable balls. 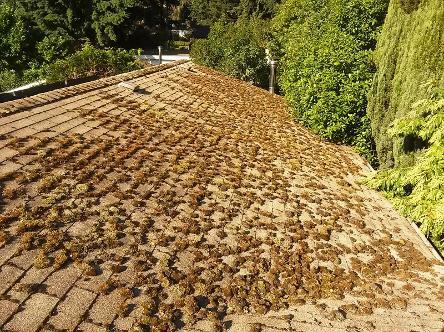 We wouldn't clean an entire roof by using a broom or scraping tool as the granule loss resulting from hundreds or thousands of broom bristles rubbing on the roof would be too much. In some cases such as shake or composition roofs that are covered in pine needles or leaves, we will use our leaf blowers to clean the roof. 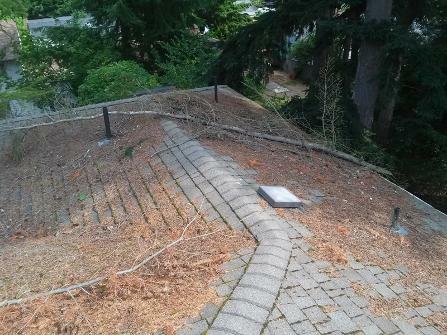 It is recommended that a post cleaning moss treatment of zinc sulfate be applied to the roof to make sure that every bit of moss and lichen are killed. We can add that to the roof cleaning service for an addition fee. A Fine Reflection has successfully cleaned hundreds of roofs with great and long lasting results. Our customers are happy. When we clean your roof it will be clean! Whether you're getting your home ready to paint or just wanting a clean and fresh look, we can help you achieve what you are looking for. Depending on the type and condition of your siding we can use a couple of different methods to clean the outside of your home. Conscientious and careful pressure washing is an effective way to clean most vinyl, aluminum, Hardie™ plank and wood lap siding. We can also use water-fed scrub brushes to achieve fantastic results. Due to the fragile nature of cedar shingle siding we will not use a pressure washer, but instead defer to the water-fed scrub brush method mentioned above. We proudly service Renton, Seattle, Bellevue and surrounding Eastside communities.